I was hired by the amazing Dancing Ferret Concerts to do an awesome illustration of a rather dapper ferret! 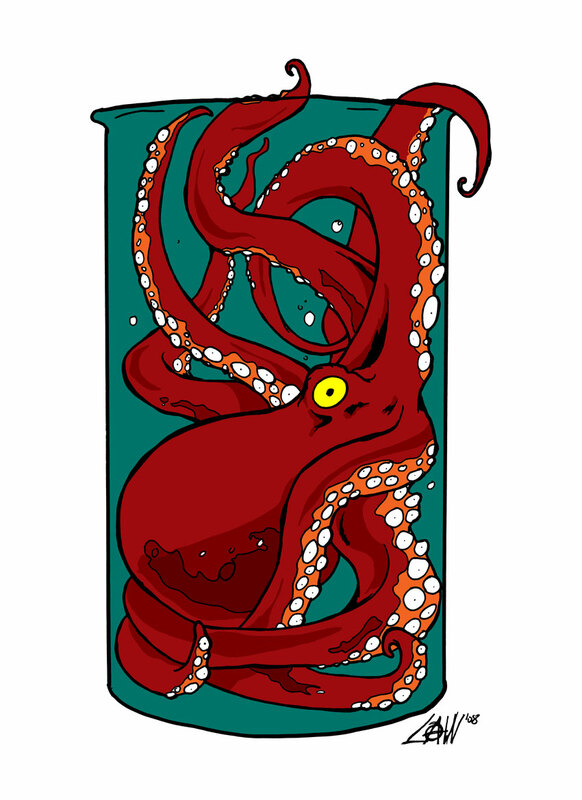 One day I stumbled across a story about an Octopus in a jar. It was a strange story, and basically it was about how someone actually had an octopus in a jar and had it grow inside it. Eventually it was let free, but the image always stuck with me.